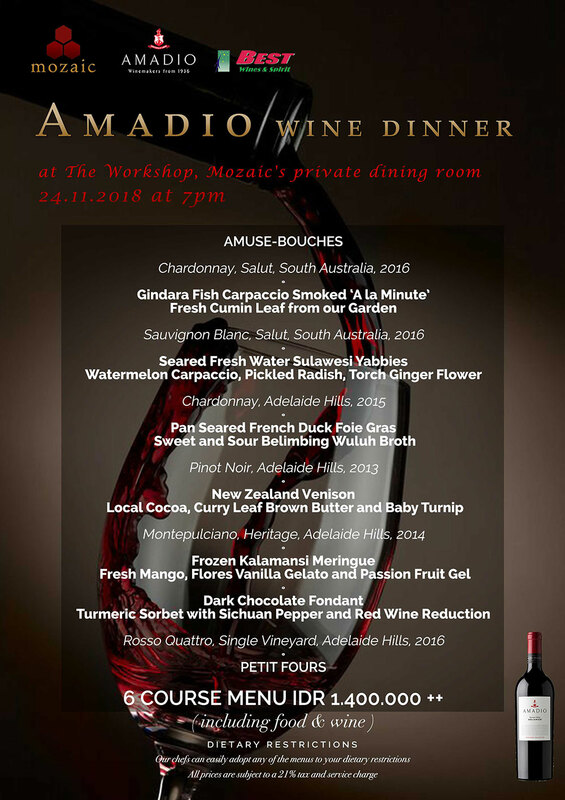 Mozaic will present a special dinner in collaboration with Amadio Wines of South Australia at The Workshop, Mozaic’s beautiful private dining room, on 24 November 2018 at 7pm, with live cooking by Chef Fernando. The 6-course tasting menu is Rp1,400,000++ (including wine pairing). Maximum seating is 40 persons, so do reserve for this special event. © 2018 by Mozaic Restaurant. All right reserved. Designed by Bali Web Design.